In signing up for a plot, individual gardeners agree to participate in three of the scheduled work days for three hours each time. Please see bylaws for more details. Some gardeners do their common-space work at other times, by agreement with the executive committee. Work days are an opportunity to get to know fellow gardeners and to feel the satisfaction of making the whole garden look better. 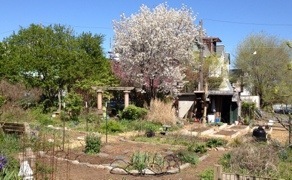 In addition to individual plots, the Summer Winter Community Garden has extensive common areas: the landscaped perimeter on Race and 33rd Streets; the diagonal central path; the entrance with triangular beds and the areas around and behind the mosaic benches; the ponds and areas around the sheds; and various other areas – all told around a third of the garden. They help make Summer-Winter more than the sum of its parts. 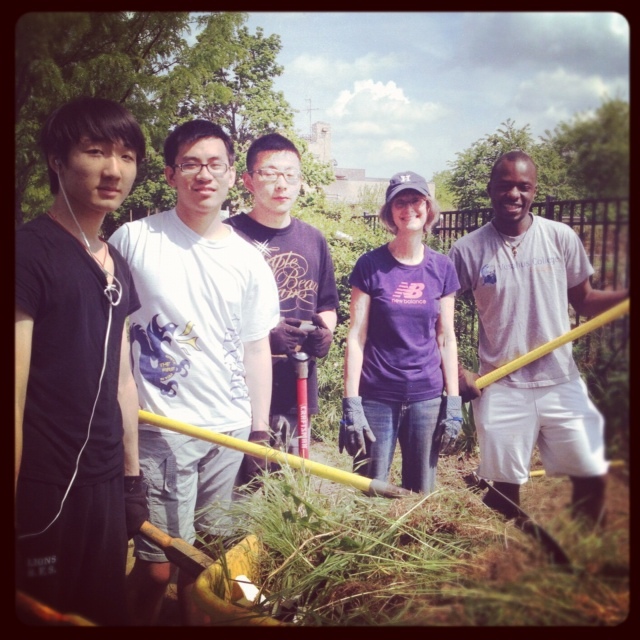 However, they require regular work: weeds grow there just as fast as on individual plots. Future Work Days to be announced soon.